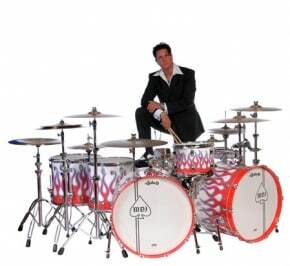 In the realm of electronic percussion there are few things that are considered legendary. Guitarists have Telecasters and Les Pauls, Marshalls and Big Muffs yet we drummers have very little that we can call a “standard” at least when it comes with a plug! Many of science’s past attempts at the digital domain of drum-dom now seem better suited as circuit-bent novelty effects of better yet, made into clocks! Unless you’re talking about the OCTAPAD that is! 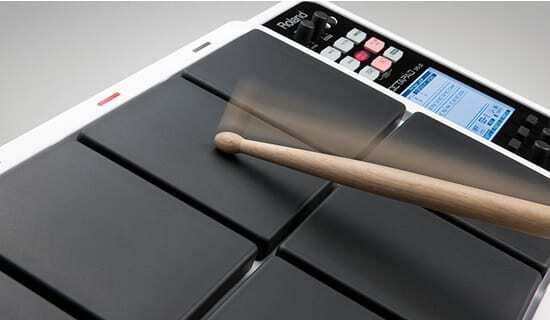 For decades (yes decades) Roland has been helping drummers augment their set-ups by making the user friendly Octapad. Each generation of this percussive stalwart has upped the bar set by its predecessor, going from a simple controller (maybe the first of what we now take for granted in much simpler devices! ), to containing it’s own user-editable sounds and even spinning off sampler friendly cousins like the soon to be legendary SPD-S. Now it seems Roland has upped the bar again with the new Roland Octapad SPD-30. The SPD-30 has the same familiar 8-pad “tabletop” layout Octapad users have grown accustomed to. It’s easily portable size remains about the same, as does its ability to turn into a neat little drum-kit with the addition of hi-hat and kick triggers. It also can be used as a sound source for triggering acoustic drums. But what sets the SPD-30 apart from its ancestors is the enhanced zero-crosstalk triggering – taken from Roland’s equally legendary V-Drum line of electronic drums, a large easy-to-read / easy-to-navigate LCD screen, a USB port for data backup, standard MIDI connections and the newly added Phrase Looper. Yes, that’s right…a phrase looper! Now you can easily write beats, record them in real-time and overdub on the fly! making this an extremely intuitive tool for drummers involved in studio production, education and live performance. Plus there’s 50 awesome drum-kit patches as well and hundreds of other cool percussion sounds. It seems the new Octapad-30 is exactly what you’d expect from a company set on giving new legs to a Legend! Check for price.